Our in-studio guest is alto sax artist Kris Allen, a fixture in the Hartford jazz scene as well as a jazz educator. We feature music from his premier release Circle House on Truth Revolution Records. Besides talking about his close association with Jackie McLean, we also give him an apparently easy Blindfold Test ala Downbeat. Also on this podcast is music off of Jen Allen's CD (Kris' wife) and the violin playing of Andrei Matorin. We celebrate the birth date of John Coltrane, one of the greatest and most influential jazz masters. Coltrane pioneered a freedom of expression in jazz music that has influenced nearly every jazz musician and those that appreciate this art form. 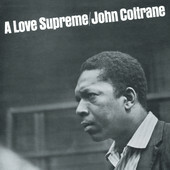 To honor his life, we will listen to one of the greatest composition and performances in all of jazz, A Love Supreme. That is followed by a couple from his gifted son Ravi Coltrane, and finally a 'Trane composition performed by Rochester drummer Mike Melito. Elvin Jones defined a style of drumming as he helped to drive the John Coltrane Quartet towards a new freedom of expression in jazz music. He would have been 85 years old this week, so we celebrate his birth date to start this podcast. Also in this show, you will get a taste of an upcoming tour by Chick Corea and Gary Burton with tracks from a re-release of the album Hot House. As I often do on my radio show, I showcase new emerging jazz artists as well as the masters of this genre. This week I feature tracks by Mike DiRubbo, Julian Shore, Shimrit Shoshan and an amazing drummer Dafnis Prieto. Buzz-At ~ Elvin Jones ~ Elvin! This week marks the 82nd birthday of legendary jazz saxophonist Sonny Rollins, and we pay tribute to him with one of his most celebrated albums "The Bridge". While we love to honor our Jazz masters, what is most notable on this podcast are the great young players that are creating such wonderful jazz music today. In this show, we feature young artists like Jared Sims and The New Stablemates, Linda Oh, Noah Preminger, Marcus Roberts (with Bela Fleck) and Craig Hartley. Jane Ira Bloom has been composing and playing jazz for a long time, yet you may not have heard her. Her new album Wingwalker is amazing. Wayne Shorter, another jazz legend keeps writing music as if he were a new modern artist. They are all represented here in this podcast. Pat Metheny, best know for his guitar prowess and as a band leader is also a great jazz composer. This podcast features compositions by Metheny that have been covered by other jazz artists. You will hear other artists performing their own interpretations of Pat Metheny compositions. Kurt Elling and Ruben Blades perform vocalizations of Pat's compositions. 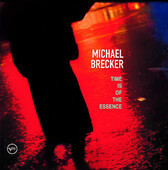 Some of these tracks have Metheny playing in bands led by others, like Gary Burton and the late Michael Brecker.